LAS VEGAS, NV – OSRAM is lighting the way to the future of driving. At CES 2018, the global No. 1 in automotive lighting, will continue to reinvent light by expanding and enhancing the experience for drivers, passengers and others on the road, turning invisible light into visible benefits: From lasers that play a key role in LiDAR, which enables autonomous driving, to infrared LEDs that support Advanced Driver-Assistance Systems such as lane departure warnings. 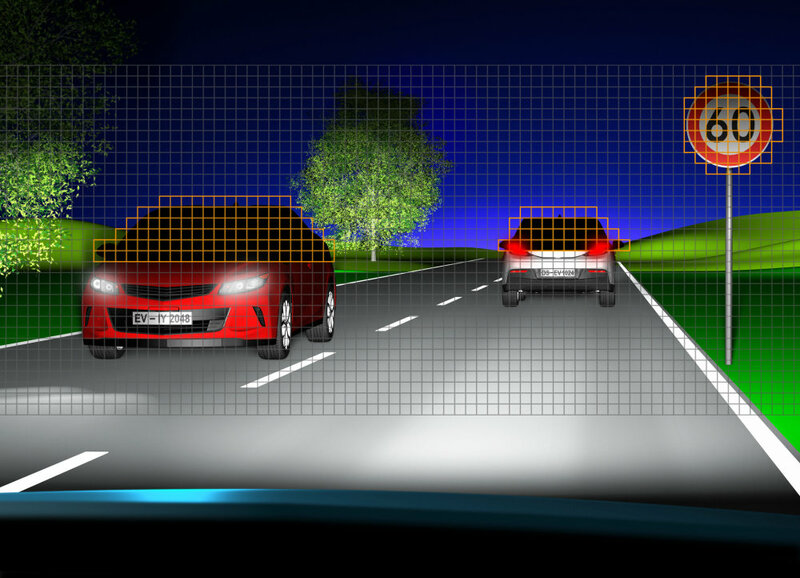 OSRAM also develops technology to enable smart headlights that notify drivers of obstacles in the road, and biometrics that can detect when a driver is having a health emergency. And it is the first to present technologies with LED and laser light sources that are suitable for both light and symbol projection on the road. Simply put: OSRAM is driving the future of automotive lighting, making vehicles smarter, safer, more stylish, and more responsive to changing interior and exterior environments. “At OSRAM, we recognize the impact that light, in both visible and invisible forms, can have on quality of life, and we strive to incorporate the benefits of light into a wide variety of technologies and applications to make everyday life safer, smarter and more enjoyable,” said Olaf Berlien, CEO of OSRAM Licht AG. “At CES, we will illustrate our high-tech competency through an innovative virtual reality experience that will take visitors on a journey into the future of automotive lighting, including autonomous driving, and the many ways that light, in all its forms, can enhance the overall driving experience,” said Stefan Kampmann, Chief Technology Officer at OSRAM. Visitors to the VR experience will be guided by an avatar of Kampmann who will unveil the company’s latest innovations in the automotive sector as well as other markets, such as horticultural lighting. Visitors will select one of three experiences, each providing insight into the impact of lighting on the automobile of today, and the future. Experiences will highlight OSRAM technologies in the areas of: Autonomous driving, the headlight of the future, and smart interiors. In the modern vehicle, there are hundreds of sources of visible and invisible light enabling numerous applications. OSRAM partners with many of the world’s largest OEM players in the automotive industry to provide the latest developments in high-quality lasers and LED-based lighting. Its products enable many applications in the modern car, including drowsy or distracted driving alerts; heads up displays; lane departure and blind-spot warnings; parking assist; low beam, high beam, signal, side, rear and interior lighting, and much more. Biometrics: OSRAM components enable biometric technologies to measure stress, recognize when a driver is drowsy or otherwise distracted, and can measure heart rate and other vital signs to detect if a driver is having a health emergency while behind the wheel. All of these measurements contribute to a safer driving experience. DMD: OSRAM’s DMD laser light source is suitable for both light and symbol projection on the road ahead. With stunning high resolution, this adaptive headlight technology can create a glare-free experience with more than 1 million individually addressable pixels that can communicate with other drivers, passengers and road sharers, and even entertain by projecting the latest movies when the car is in park. Eviyos: The Eviyos prototype is the world’s first hybrid LED and represents major progress toward the first market-ready smart controllable high-resolution LED. When oncoming traffic is detected, the appropriate pixels are automatically switched off so drivers of oncoming vehicles are not dazzled. Interior Lighting: With OSRAM’s interior lighting, drivers can change the ambient lighting in their vehicle to match, or enhance, their mood. Or through biometrics, the vehicle can measure stress levels and adjust the lighting colors and levels automatically to encourage relaxation and aid in safe driving. LiDAR: LiDAR marks a milestone on the way to autonomous driving. 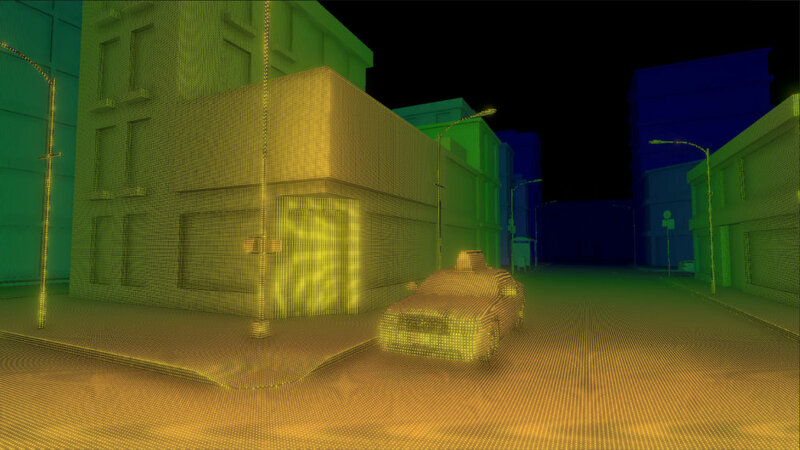 OSRAM owns the expertise for proven LiDAR Systems for all leading LiDAR system providers. With OSRAM’s infrared laser technologies, vehicles can adjust to their environment in real time, and react quickly to avoid collisions. Zevo: The ZEVO Hybrid product from SYLVANIA Automotive provides colorful illumination and definition to off-road vehicles. 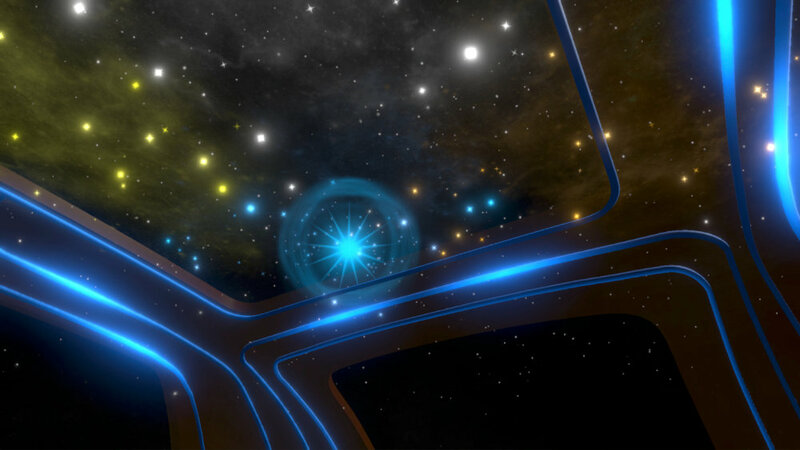 Users can change the color and pulse through the free ZEVO app. OSRAM is located in Booth #3115 in the North Hall (Automotive Hall) of the Las Vegas Convention Center, Las Vegas, Nevada, at CES 2018, Jan. 9-12, 2018. Additionally, OSRAM products and components will be showcased on the Rinspeed Concept Car, exhibited at the Hard Rock Hotel, 4455 Paradise Road, Las Vegas, during CES 2018. The SFH 4735 emitter will be featured at CES 2018 Unveiled, 5 p.m. – 8:30 p.m. Sunday, Jan. 7, 2018, in the Shorelines Exhibit Hall, Mandalay Bay. LiDAR enables an autonomous vehicle to see its surroundings in order to safely navigate the road. The Eviyos prototype is the world’s first controllable, high-resolution hybrid LED. When oncoming traffic is detected, the appropriate pixels automatically switch off so that drivers of oncoming vehicles are not dazzled. Interior lighting from Osram can help enhance a driver’s or passenger’s mood, or even help alleviate jet lag.